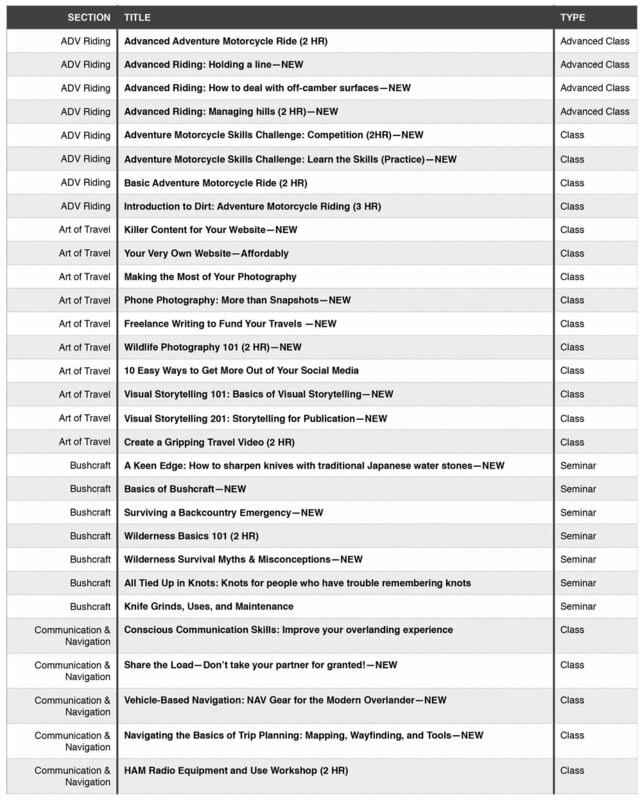 over 450 session-hours to learn from our instructors—over 150 of the best in the world! Details about Overland Expo EAST near Asheville, NC in October 2017, will be available in June 2017. Once again, Land Rover Experience is sponsoring the on-site overland driving course. Develop off-road skills to tackle any terrain, whether you explore locally or globally. The course will be staffed by a dozen of the top overland driving skills trainers in the world to provide one-to-one coaching from an expert instructor. 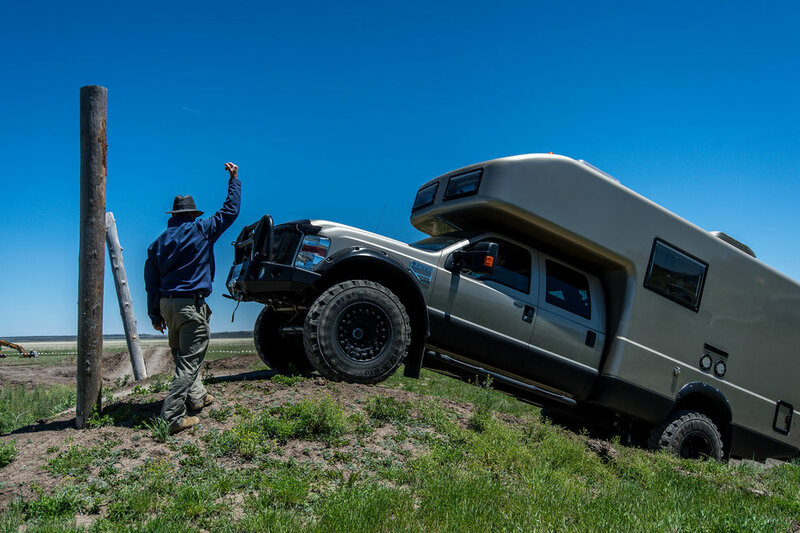 Overland Experience registrants have all day access to the Overland Driving Course using their own vehicle (or can use a provided test vehicle) as well as classes taught by the Land Rover Team. Weekend / Day Pass attendees may sign up for a test drive using a Land Rover provided vehicle, with a Land Rover instructor. Taking center stage at the Motorcycle Skills Area & Track and anchoring Motorcycle Village is RawHyde Adventures. On a custom built training course, learn the skills that will take you confidently off-the-beaten-path. 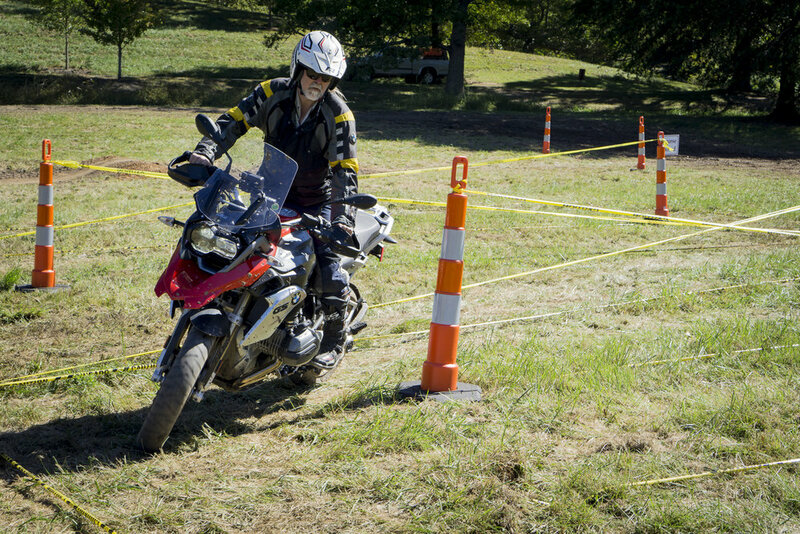 New for this year, practice and test your skills on the Adventure Motorcycle Skills Challenge Track, in a competition style obstacle course. Note: We do not have loaner motorcycles; bring your own. Overland Experience registrants can sign-up and participate in beginner or advanced riding classes, adventure motorcycle skills clinics and remote rides. Weekend / Day Pass attendees and everyone can observe the Adventure Motorcycle Skills Challenge practice and competition. Bringing their tech skills to yet another show, BFGoodrich will be hosting a teaching area focused on tire technology as well as bringing in vehicles to test drive to discover the differences tire tread patterns have on various terrain. Everyone (Overland Experience registrants and Weekend / Day Pass attendees) can sign-up for tire test drives and participate in the Tech Talks at their booth. What's better than learning driving skills and hands-on instruction from Camel Trophy competition experts? How about more of it? This year we are bringing you a bigger and more dynamic Camel Trophy Expedition Skills Area. That also means more of the classes you want: Driving Skills, Maintenance and Repair, Planning and Logistics, Recovery, and Static Skills. 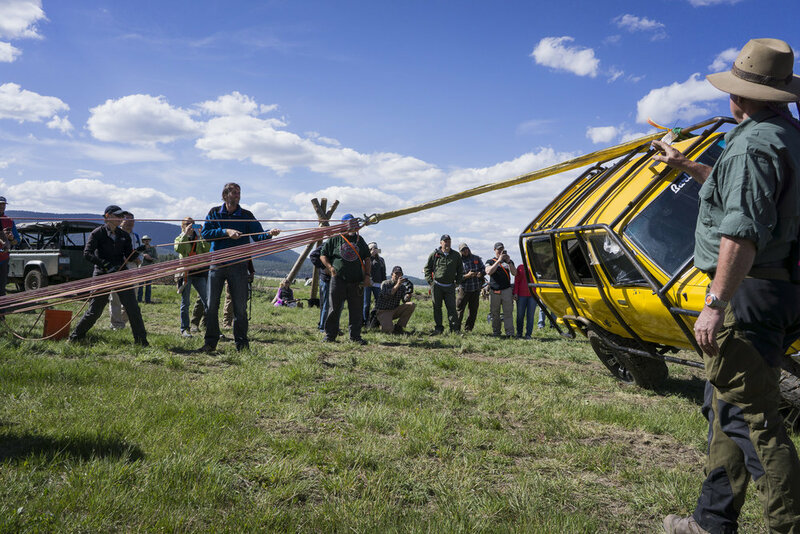 Learn overland skills such as winching, rope-work and lashing, recovery, specialty substrates, and spotting. Want to know how to get unstuck with only what you have on hand? The fundamentals of winching? Arm yourself with the best tool in the tool box . . . knowledge. Overland Experience registrants only can sign up for and participate in all classes taught by the Camel Trophy Team. Weekend / Day Pass attendees and everyone can observe limited classes. Our training pavilions get you out of the classroom and into the field. Each year we bring you an assortment of technical classes essential for overlanding. Rotating topics cover everything from how-tos about electronics to hands-on maintenance and road side repairs to showing how to set up gear and what to take with you (and sometimes leave behind). You wanted more and we listened. This year we've expanded to four classrooms dedicated to overland-specific instructional classes. With our numerous navigation classes, there's no more excuses for getting lost when your GPS dies; learn communications skills to enhance your overland experience; brush up on your art of travel techniques with our photography and videography classes; find out more about medical preparedness, patient assessment, and how to put together a proper first aid kit—no matter if you drive a truck or motorcycle, we got you covered; and stay safe and secure with situational awareness tips from experts in their field. Overland Experience registrants only will have unlimited access to all classes. Considering investing in an overland rig or motorcycle, but want to see how someone else does it first? Or just curious how someone has modified their rig to travel? Take a look at our "My Perfect Overland Vehicle / Moto" series in the Demo Area. This "show and tell" series is about vehicle and moto customizations that have been put to the test of time and miles; bring your questions. Many will also share tips on how to travel. Curious about how seasoned travelers feed themselves on the road? Make sure to stop by for our scheduled cooking demos. Everyone (Overland Experience registrants and Weekend / Day Pass attendees) can attend seminars and demos. Want to know how a specific product works? The exhibition area is the place to be. Check the schedule for times of detailed demonstrations. Look for everything from solar cooking to rooftop tents to air compressors and tow straps. Everyone (Overland Experience registrants and Weekend / Day Pass attendees) can attend product demos. Bring your family! We offer a weekend packed with activities tailored to adventurous kids and their parents. This area is for kids, by kids. Stop by and check out the Junior Overland Explorer program and earn patches for select classes. Kids can learn about origami, nature journaling, first aid, and knot-tying; They can also go explore during the navigation treasure hunt or try yoga. Everyone (Overland Experience registrants and Weekend / Day Pass attendees) can attend kids activities. Everyone (Overland Experience registrants and Weekend / Day Pass attendees) can attend roundtables. Watch and listen to fellow overlanders share their experiences at the Overland Theater. Each year we offer a new selection of slideshows of trips from around the world. Check the schedule this year to see where you will be inspired to go next. On Friday and Saturday evenings, we host a special lineup of films at the Overland Theater, from 7-10 pm. New for this year, an hour-long appetizer of Overland Film Shorts before the feature film. Everyone (Overland Experience registrants and Weekend / Day Pass attendees) can attend slideshows and films. Open to Weekend / Day Pass and Overland Experience packages: Roundtables, Demos, Seminars, Slideshows, Films, Kids Activities, and Product Demos. Open to Overland Experience package ONLY: Advanced Driving and Recovery Classes, Adventure Motorcycle Riding Classes, Hands-on Workshops, and Instructional Classes. Overland Experience registrants, when class sign-ups are available, will receive an email "invite" to register for classes from Schedule.com. We do not publish the schedule, times, or locations online since it is reserved for registered students only. NOTE: Most classes are offered more than once to accommodate the demand for popular classes. See below for a list of our complete Overland Experience program offerings. Weekend Pass attendees will be able to download a printable schedule of programs open to all everyone. 250+ different classes and programs, totaling 450+ session-hours.